Discover how easy it can be to create a whole new approach to patient documentation, communicating and marketing by using the right digital camera. 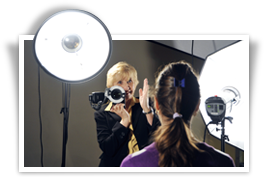 Learn how to capture the perfect smile and you will leave with new ideas and skills to make outstanding photographs of faces and clinical images. Don’t miss out on an excellent opportunity to show off your great work and learn how to prepare effective education and marketing material of your own patients. We will show you the tips and techniques to consistently take excellent patient views. - Learn some of the advanced settings of your camera and use this information to improve your dental and your hobby photography.